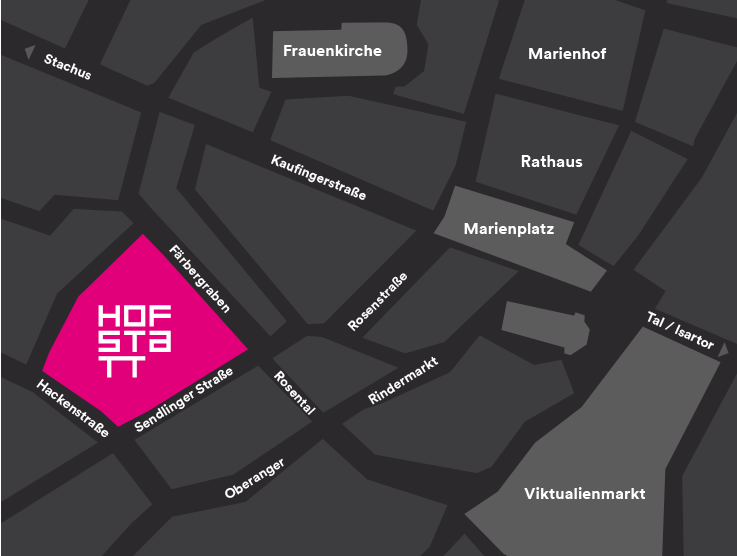 Our interactive site plan gives you a full overview of what to find at HOFSTATT. Simply click on the logo of the relevant brand and the plan will reveal the exact location of that shop in HOFSTATT! Your shopping date in Munich! HOFSTATT is in a central location in Munich, just a few steps away from Marienplatz, Kaufingerstrasse and Neuhauser Strasse. The address: Sendlinger Strasse 10, Munich. 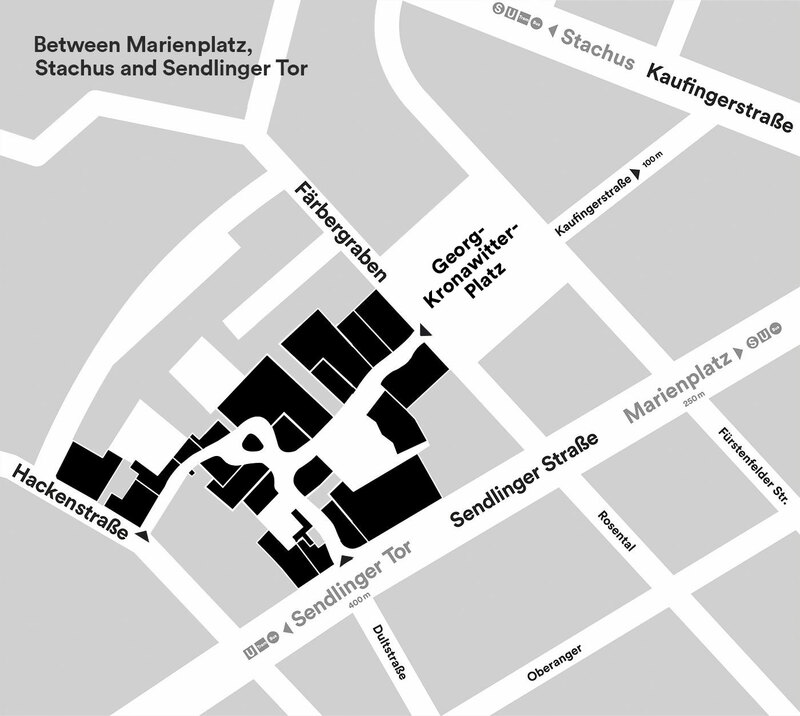 You can get here by underground or suburban train, disembarking at Marienplatz or Sendlinger Tor. Sendlinger Tor is also served by a number of bus and tram lines. Two public multistorey car parks (Färbergraben and Oberanger) are just a few metres away. Monday to Saturday 10 a.m. to 8 p.m.
Shrove Tuesday 10 a.m. to 2 p.m.
24 December and 31 December 10 a.m. to 2 p.m.